The South-African born composer John Joubert (based in the UK since the late 1940s) will celebrate his 90th birthday in 2017, and in celebration his opera Jane Eyre is being recorded on the SOMM label. The opera is being given in concert on 25 October 2017 (the work's world premiere) with Kenneth Woods conducting the English Symphony Orchestra at the Ruddock Performing Arts Centre, King Edward's Schools, Birmingham B15 2UA, and the performance is being recorded by SOMM. The performers include April Fredrick as Jane, David Stout as Rochester, Clare McCaldin as Mrs Fairfax and Mark Milhofer as Rev. St John Rivers. 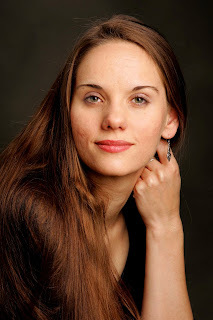 I caught up with soprano April Fredrick to find out more about the opera. Despite have a wide catalogue including seven operas, Joubert is perhaps still best known for his carol Torches which was published in Carols for Choirs. His operas have included others of literary origins, Silas Marner premiered in 1961. Jane Eyre was written between 1987 and 1997 with a libretto by Kenneth Birkin, an academic whose interests include the collaboration between Richard Strauss and Hugo von Hoffmanstal, a significant model indeed for an opera librettist. 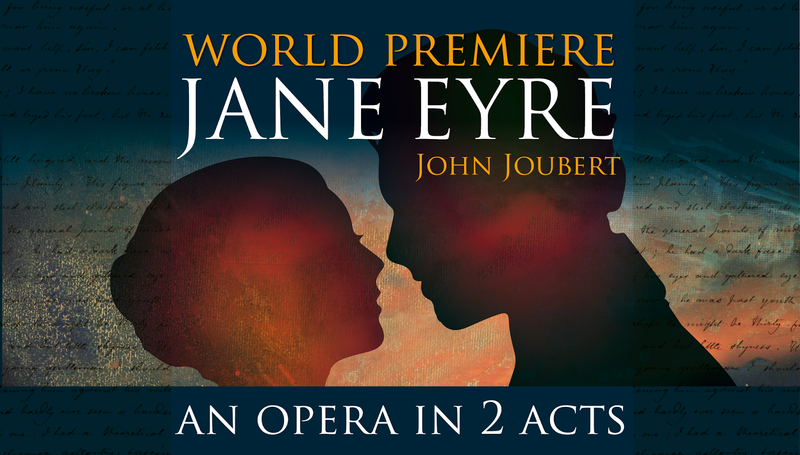 A number of people involved in the Jane Eyre project refer to the opera as a labour of love. April had never sung any of Joubert's music before and as well as appreciating getting to know his music, she finds he writes well for the voice, and he aptly captures Jane's combination of a passionate nature with strong self control. She has warm words too for Birkin's libretto, with its combination of carefulness and lushness. The compression necessary to turn the novel into an opera has been done with imagination. The first scene is an imagined confrontation between Jane and Mr Brocklehurst, as she is about to leave Lowood, which telescopes the first ten chapters of the book. This technique is used in other scenes, to put some of the back story into monologues. The libretto uses a lot of text verbatim, and the passages that are not feel a close version of the original. Jane herself is a very big role, on stage for a lot of the time, and singing a great deal. In style, April feels that the dramatically well realised opera recalls Britten in the psychologically acute way Joubert writes, and for April you forget that singing is not the normal way of communications. Even in the most lyrical moments, Joubert adds something to the harmonic mix which keeps the music from being perfectly consonant all the time. It is very much a stage work, not a concert piece, and though the performance on 25 October is being given in concert April feels that it really deserves to be on the stage. The performance and subsequent recording will thus not only celebrate Joubert's 90th birthday, but hopefully will stimulate interest in the opera. April feels that it deserves to be seen and having got to know the work, she is amazed that it has never been done before.